Hi everyone! I have been so quiet lately I know but this is because I have been so busy with things I am just not allowd to share yet but don’t worry, I can share very very soon. Quickly today I wanted to come in and share the current challenge over at the Color Room. 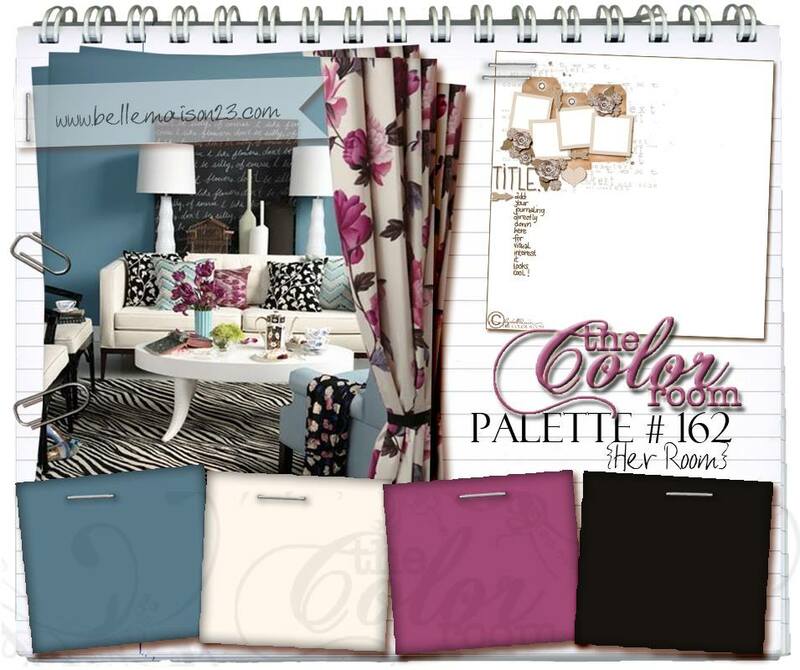 Click here to visit the website and click here to visit the Color Room Facebook page so you can join in the challenge and earn a chance to win some fab prizes. Here is my take on this colour palette. Loved playing with these Her Room colours. So fun and fabulous. 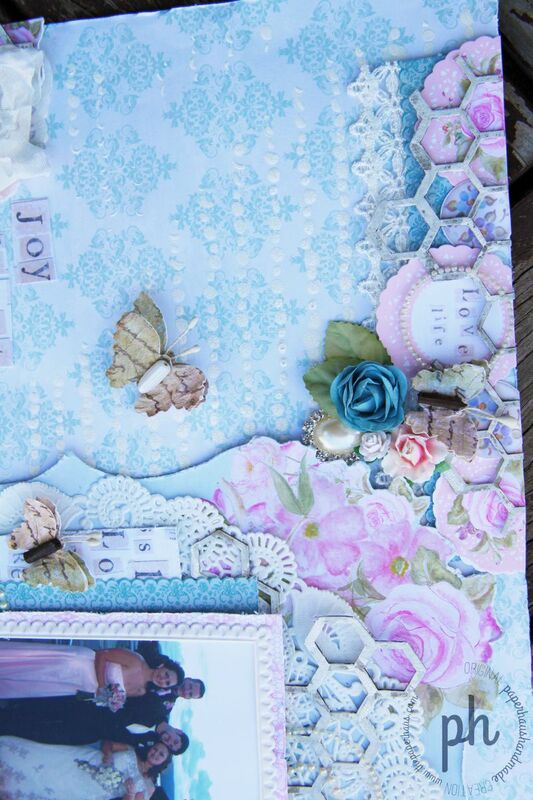 The background was created using white cardstock, modelling paste and a 6×6 Heidi Swapp Mask. I have then dripped Blue Sapphire Glimmer Mists around all the edges and using a straw, I have blewn the blue to create drips in the directions that I wanted them to go, into the centre. 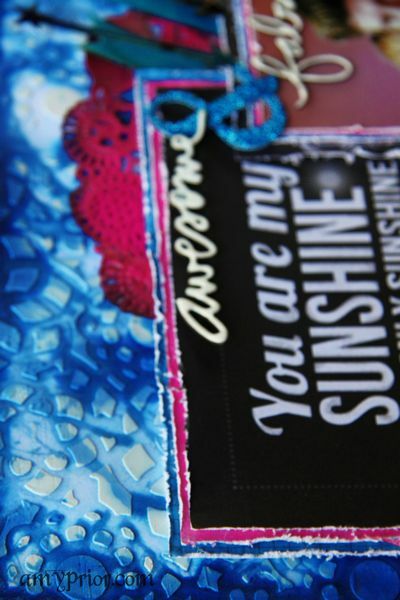 I have then coloured my chipboard sunburst with a couple of different blue shade mists and have sprayed a doily and some A2Z Scraplets Chipboard arrows with Black and Funky Fuschia Dylusions Ink Sprays. The arrows were then given a coat of Glossy Accents to give a nice plasticy shine and I have decorated the chipboard words using Ranger Liquid Enamel Dots which again is a fun enamel plastic look which is very much in trend at the moment. 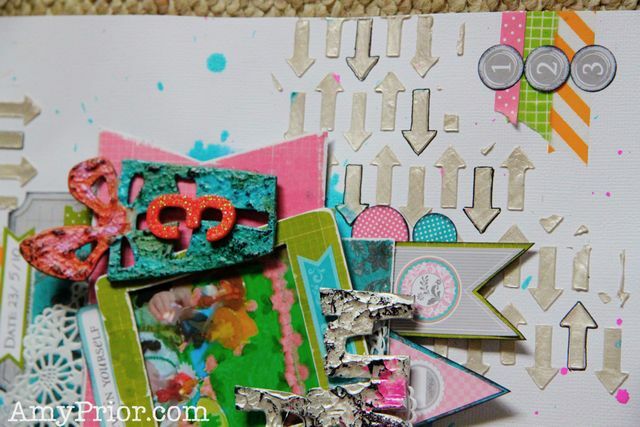 The papers that I have used are mainly from the My Minds Eye Chalk Studio Collection although I have also dug into my old Heidi Swapp stash for some Hot Pink and Blue papers for mounting that striking chalkboard look papers onto. 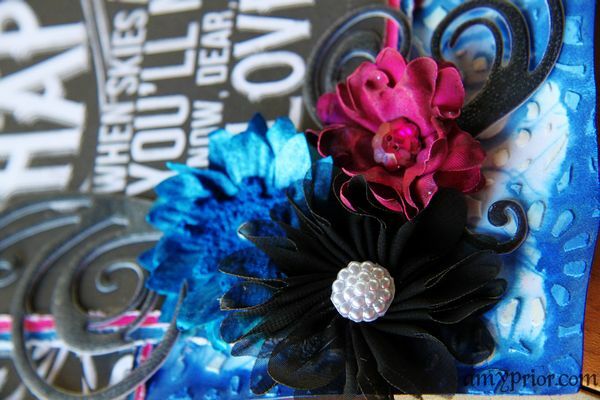 The fabulous blue flower was a gift from the awesome Kristal Barnwell from Buttercups & Blossoms. She makes the cutest flowers and this one I altered a little to make the flower a little darker as it was originally a light blue colour. I have also altered a Flourish with a Bling Flower using Funky Fuschia Dylusions Ink Spray and I have added another black FWAB flower also. Well that is it from me today, hope you come back tomorrow where I have some more inspiration here and over on the A2Z Scraplets blog also. I am going to be playing along with this awesome event. Check it out just click the blinkie and sign up today. Major prizes are awesome! Now for the drumroll please…..
Congrats again Rebecca please email me amy_prior AT live DOT com with your address so I can post your prize out. Well that is it from me today, tune in tomorrow for some more inspiration from yours truly, and until next time, happy scrapping! If you are here for my giveaway, click here. Only 3 more days to enter! Hi everyone! 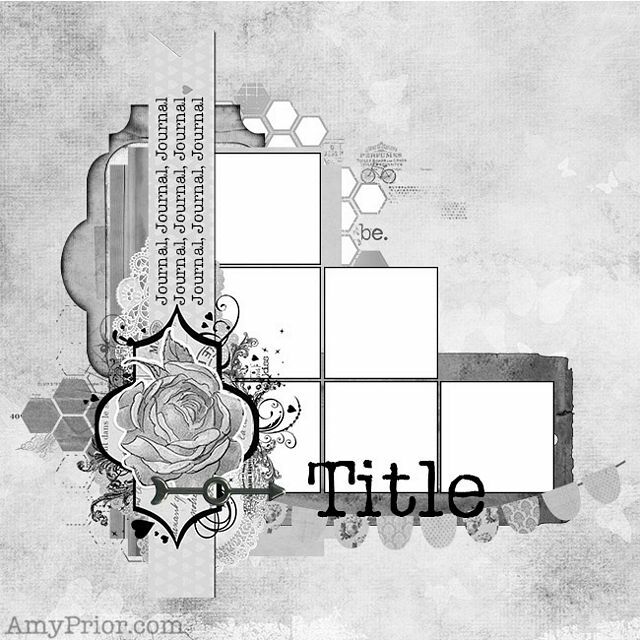 Today I am back to share a layout that I have created as a Guest Designer for Berry71Bleu this month. 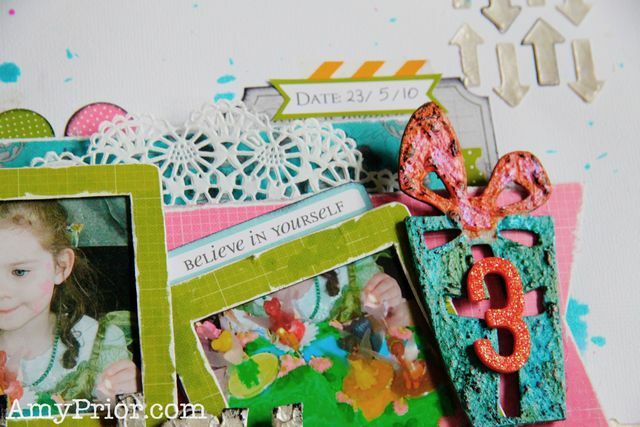 The challenge was to use the May Once Upon a Time Sketch Challenge as well as incorporate some chipboard so of course I used some A2Z Scraplets on my page. Checkout the Berry71Bleu blog here. 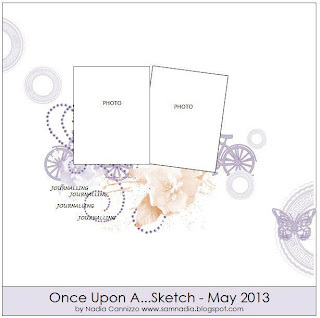 The challenge this month was to play along with the Once Upon A Sketch Challenge but also using some chipboard. Here is the sketch. 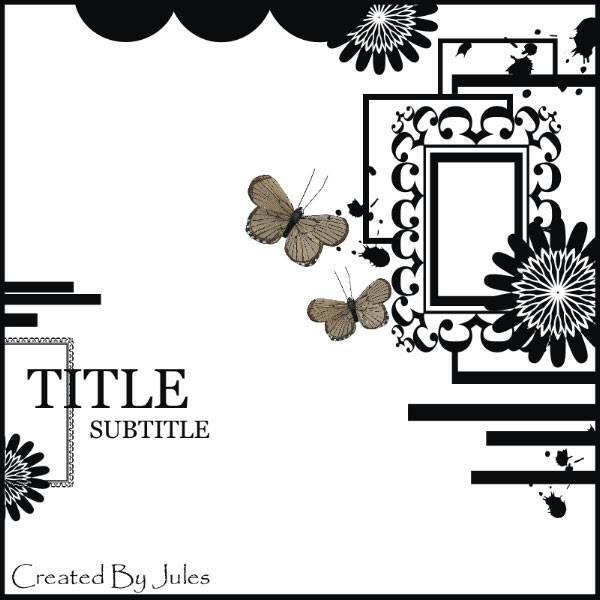 I decided to use some 7 Dots Studio Patterned Paper and elements for this layout. To start I have added some texture to a white 12×12 piece of cardstock. 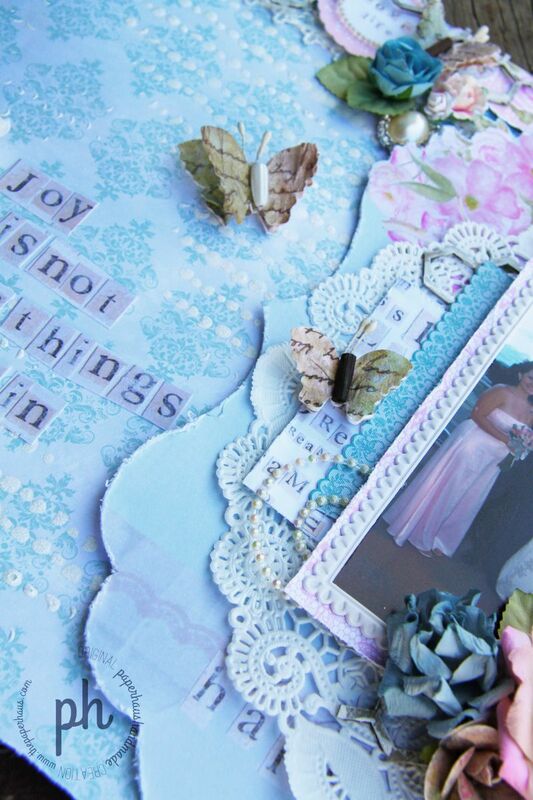 To do this, I have used an A2Z Scraplets Masklet with some Viva Decor Pearl Modelling Paste. When this was dry, I have doodled around a couple of the arrows. As you can see, I have used the stencil 2 different ways for a more interesting visual effect. 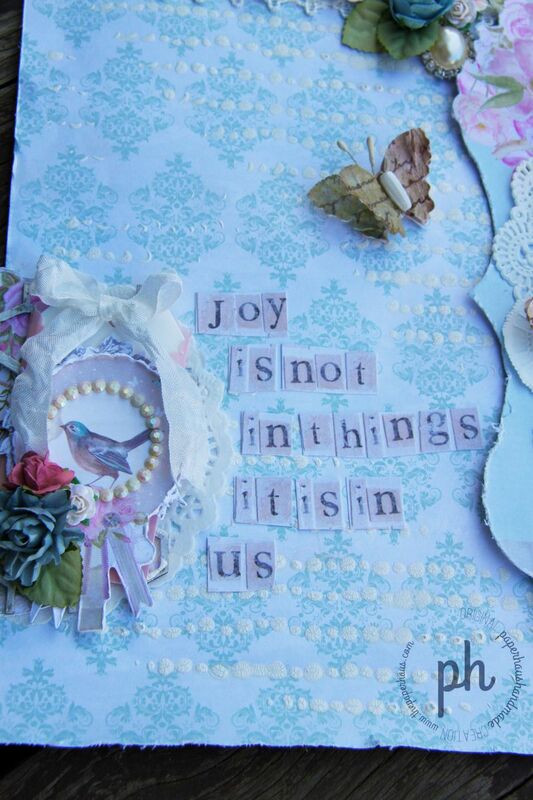 To decorate the birthday present A2Z Scraplet Chipboard piece, I have used 4 different shades of Perfect Pearls Powder that were all mixed with some Texture Paste. 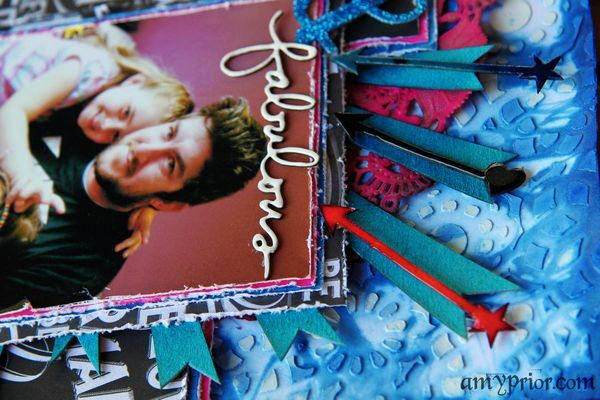 I made the paste really thick so it would create some fun texture on the chipboard. When this was dry, I have inked the top with some Black Archival Ink. Before I started layering my elements down, I decided I wanted some colour on the background. 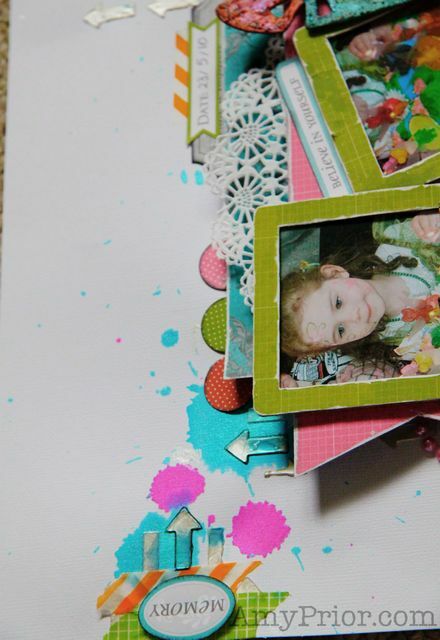 To do this I have simply splattered some Pink Dylusions Ink as well as some Blue Lindys Stamp Gang Starburst Stain Spray. To create splatters easily, I spray some of the mist into the lid of the bottle and then hold above my page about 30cm and drop. If you want to create a bigger splash go a little further and vice versa. 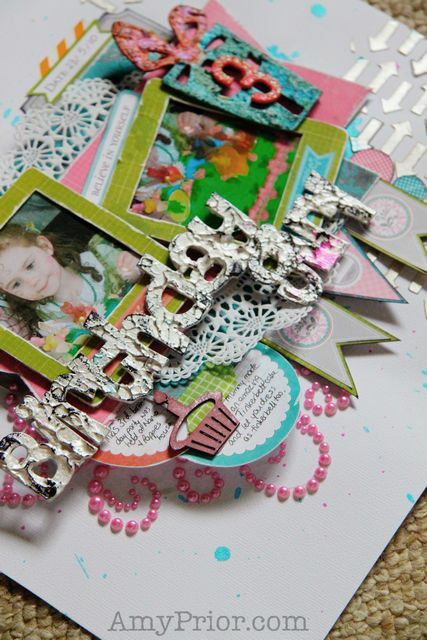 The Birthday Girl Chipboard title was trimmed to fit my layout better and I have coated the letters with some Pearl Viva Decor Modelling Paste very roughly to create lots of texture. I then inked the top with some Black Archival Ink and moved onto the Cupcake Chipboard piece that I had removed. 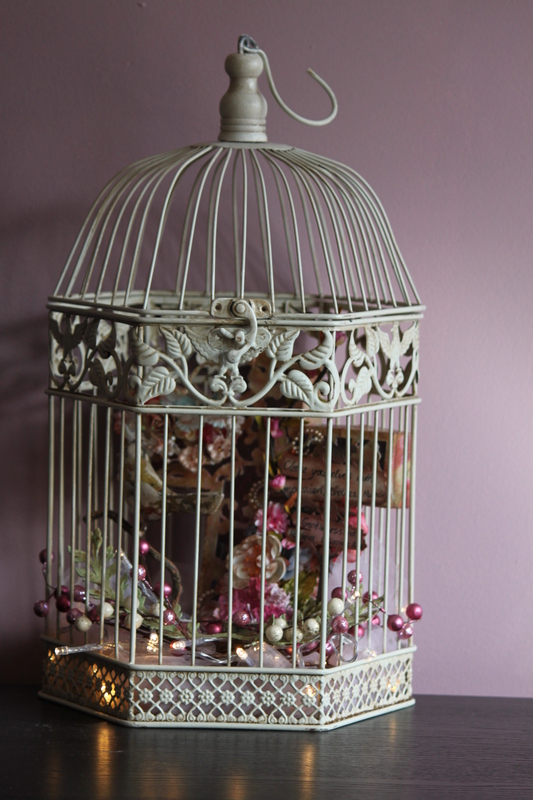 To decorate this I have simply sprayed some Lindys Stamp Gang Starburst Stain Spray over. 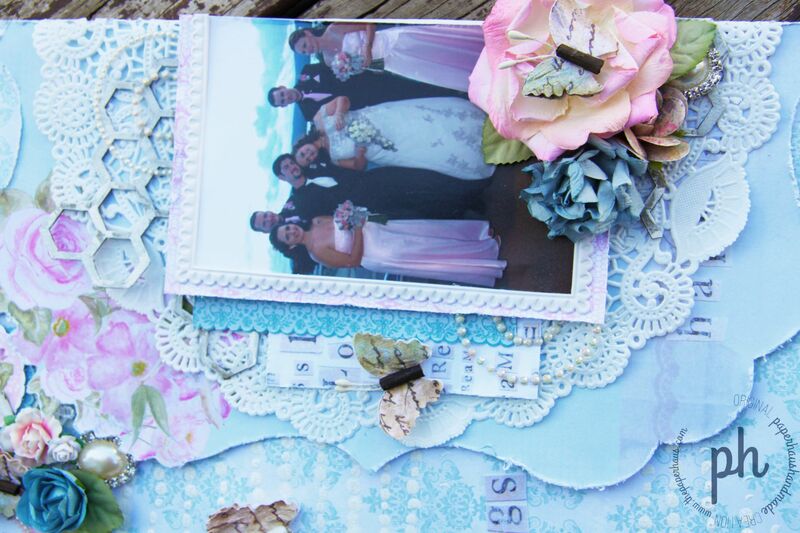 The last chipboard element, the double photo frames, were coated with some of the fabulous 7 Dots Studio co-ordinating papers and then the edges were sanded back roughly. I have also sanded back the edges of all my layers of paper to add some more white distressing but then I decided to ink around the edges of some of the stickers and embellishments with Archival Black Ink to add some more black distressing to the page. Hi everyone. 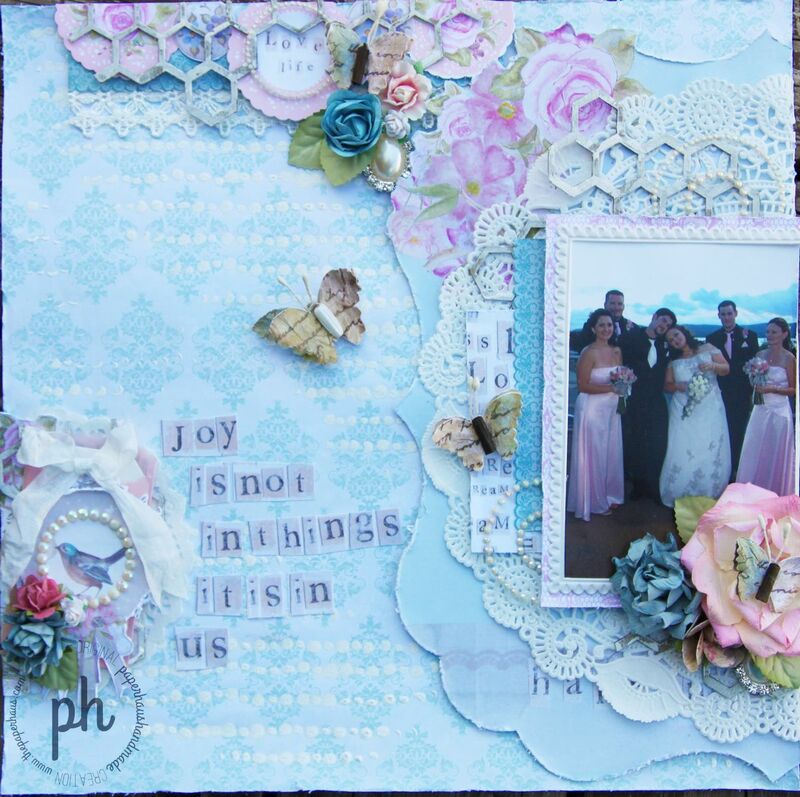 Today I am over on the A2Z Scraplets blog with a fabulous share. 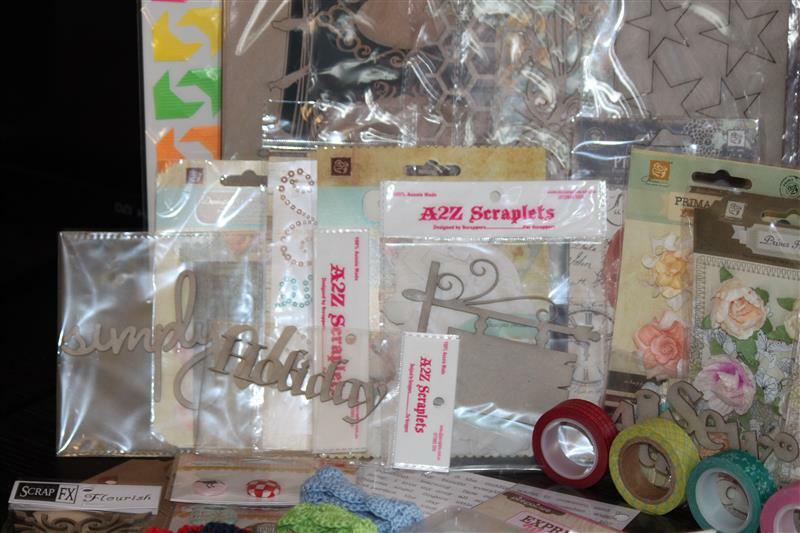 Here is a pic but to check out the details, head on over to the A2Z Blog here. Don’t forget to checkout my giveaway and share the love! Just click here to view the post. 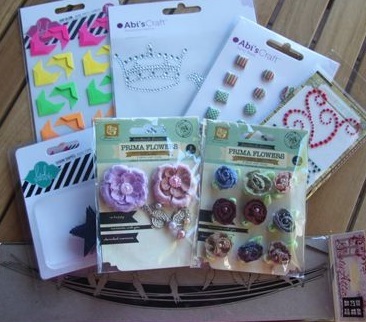 Well as promised, I have a fabulous giveaway for all my lovely followers to help celebrate my new blog. Yep that’s right! 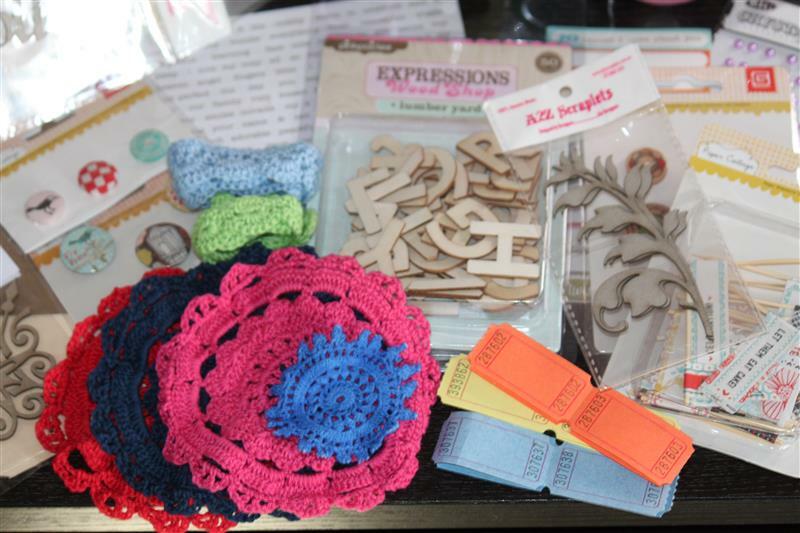 You can win this collection of fabulous goodies just for spreading the word about my new blog! 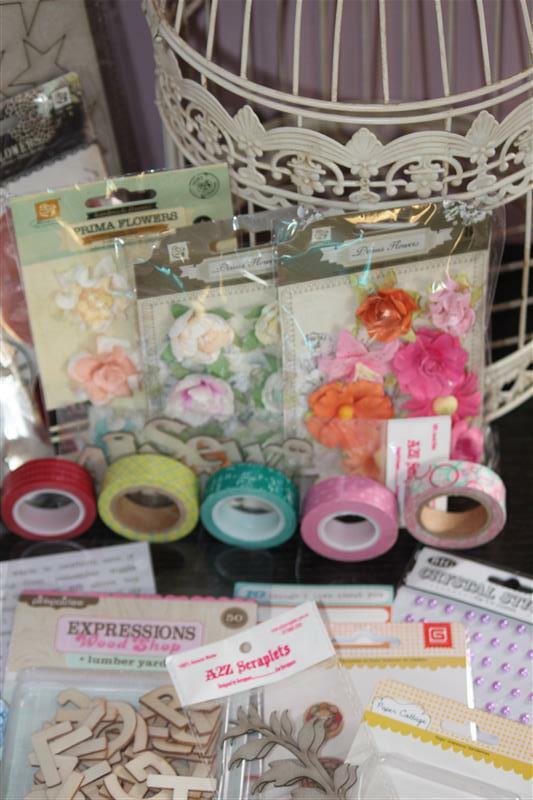 Only things not included in the giveaway are the Bird Cage and the Patterned Paper pictured. So how do you get in the running to win? Simple. 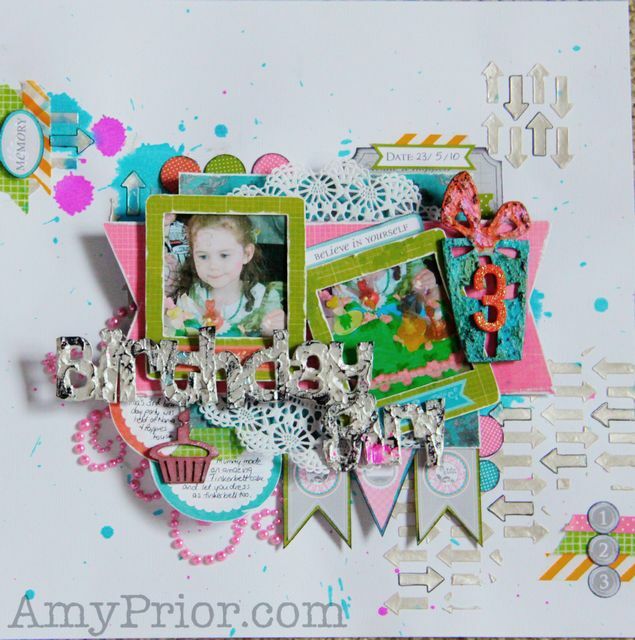 Just comment on this post and become a follower of my new blog www.amyprior.com. For extra entries into the draw, simply share the news around. Spread the love on Facebook, Twitter, Pinterest, Online Forums etc and be sure to share the link in a comment below. All entries must be in by Midnight on the 31st May Australian Eastern Standard Time.